Is there an acarologist in the house? These egg-shaped doobies were swimming all around in the centimeter of water in the bird bath. I'd seen similar swimmers in water that I'd treated for mosquitoes. I suspect--without any real facts--that these are mites that come along and multiply to eat up the detritus left from the dearth (and death?) of the mosquitoes. 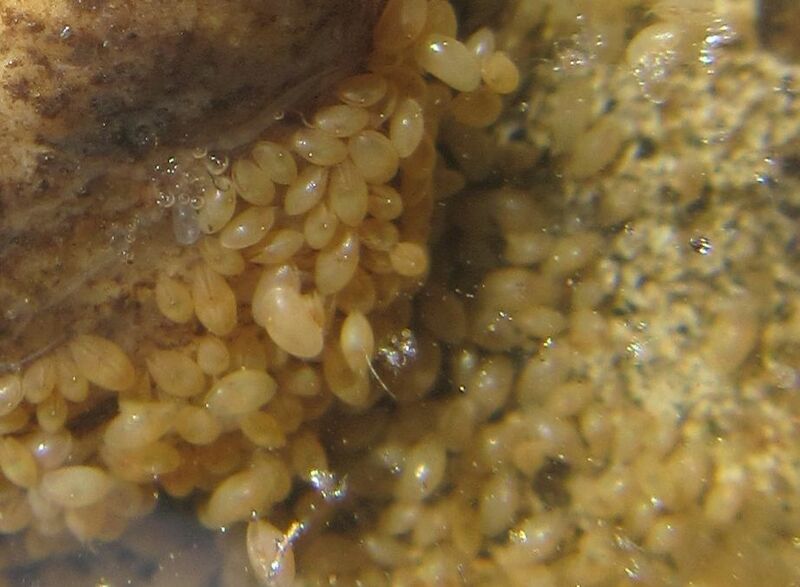 I don't know what your magnification is, but I suspect that what you have there are ostracods ("clam shrimp"). "The drought-resistant eggs can remain viable after passing through the intestines of birds, which allows them to colonize new sites." edit: oops, not "clam shrimp", ostracods are "seed shrimp".